On 20 October the government announced a plan to introduce punishment for sponging ('tuneyadstvo’). It was practiced in Soviet times and it may return to Belarus again. About 10% of population able to work do not pay taxes although the official unemployment rate is only 0,5%. Belarus has one of the largest shadow economies in the region. Over the last years the Belarusian authorities often tolerated illegal economic activity in return for political loyalty. But as the state finances become thin and political situation seems under control, the authorities seek to exploit the huge shadow sector. The government suggests various options to resolve the problem, from a fixed fee on spongers to forced employment, but decision is yet to be taken. Such measures may create a legalised violation of human rights, but the regime looks very determined to extract new funds at high political price. On 20 October Aliaksandr Lukashenka held a meeting with the government to discuss current problems of the labour market in Belarus. The country is facing the same demographic problems as practically all European countries: the number of able-bodied population decreases, which results in the lack of labour force and pressure on social system, especially pensions and healthcare. Moreover, about 500 000 Belarusians either do not work at all, or do not work officially according to the governmental data. This equals to more than 10% of the population able to work. They use free education, healthcare and pay reduced price for public services, but do not contribute to the state budget. Finally, Lukashenka appointed the head of Presidential Administration Andrej Kabiakoŭ and State Secretary of Security Council Aliaksandr Miažujeŭ responsible for developing measures against spongers. As both of them occupy highest positions in the regime's hierarchy, it looks like they regard the problem as very serious. And the solution must be found fast – Lukashenka ordered to start the implementation of new policies from the new year. What Belarusian leader did not mention is that Belarus has one of the largest shadow economies among the post-socialist countries. According to World Bank estimates, in 2010 Belarus had a shadow economy amounting to 46% of GDP. During the years of stability in 2000s, when economy boosted due to high Russian subsidies, the regime tolerated the shadow activity of the citizens in exchange for political loyalty. But as economic situation worsened in recent years, the government seeks new sources of filling the budget. Several groups of citizens are most likely to be targeted under the new law. The government officials usually talk about alcoholics who do not work because of addiction. In this case, however, administrative measures will hardly work, as they do not work currently. For instance, local authorities force state enterprises to employ parents, who were deprived of parental rights, and have to pay for their children's care in orphanage. Usually being alcoholics, they barely show up at work. Even forced delivery of such citizens to their workplaces by the policemen does not help. Needless to say, the employers, who have to employ them, strongly oppose such measures. More sober citizens, who consciously evade taxes, work either abroad or in the shadow economy. A considerable number of people work in Russia, visiting their families in Belarus from time to time. Most of them descend from eastern Belarus and work in construction. Another group comes from the EU borderland. They smuggle cigarettes, alcohol and fuel to the EU and all kinds of goods from there. Online earners, like freelancers and Internet-gamblers, will also suffer from the new law, as will do many small businesses that operate illegally. However, some social groups indeed face unemployment and it is unclear how the problem can be solved in their case. In many villages and small towns few jobs usually exist and they are badly paid, while being officially unemployed looks rather a burden in Belarus. With a monthly benefit of only $12, people have to do dirty jobs and later they receive job offers with minimal wages. No wonder the majority of the unemployed seek other ways of earning for their living. The police is particularly interested in sponger issue, because 60% of criminals in 2014 neither worked nor studied anywhere. Thus, forced labour could become a measure to reduce crime. At a meeting with Lukashenka, the Ministry of Internal Affairs suggested to establish an administrative liability for spongers, including forced employment. The citizens who do not pay taxes for over 6 month in a year will be charged a fine. Repeat offenders can be arrested and forced to work. Another governmental initiative, announced by Deputy Prime-Minister Anatol Tozik, suggested to raise minimal work experience for getting a pension from 10 to 15 years. The pension age for tax evaders will rise by 5 years. And they will only receive basic free services from the state, and will have to pay for a complete package, available for free to other citizens. However, Anatol Tozik says that so far it is not clear who will be regarded as spongers, and how the whole system will work. Will the USSR Practice Return? 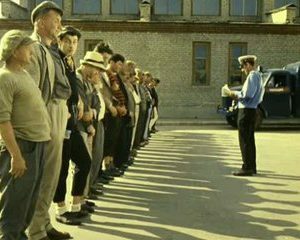 In the USSR, sponging was a crime and people unwilling to work could get up to one year in jail. According to socialist ideology, work was considered a duty, not a right of a citizen. The 1936 Constitution of the USSR even contained the famous Lenin's phrase "Those who do not work, should not eat". As it often happened during Lukashenka's rule, the government suggested to revive administrative Soviet methods to solve current economic problems. The International Labour Organisation defines forced labour as all involuntary work or service exacted under the menace of a penalty. This does not include any work or service which forms part of the normal civic obligations of the citizens of a fully self-governing country. According to the Constitution of Belarus, a citizen has to participate in financing of state expenditures, and Belarusian authorities refer to that point when discussing the sponger issue. Earlier, Belarusian authorities already used the forced labour methods to help to implement the modernisation of wood industry. However, the Belarusian Ministry of Internal Affairs in an interview to TUT.by assured that Belarus will not return to the Soviet practice of criminalising the sponging. The coming months will show how the authorities see the balance of human rights and state economic interests. Tags Administrative measures Alcoholism labour migration ministry of internal affairs national budget police shadow economy smuggling social benefits social services spongers unemployment USSR. 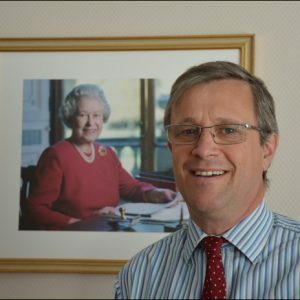 Belarus Digest interviewed Bruce Bucknell, British Ambassador to Belarus who has been serving in Minsk since July 2012. He also runs a blog about his work in Belarus. Bruce Bucknell shared his views on Belarusian identity, importance of modern education, business climate in Belarus and UK’s new visa rules. BD: You said that before you came to Belarus you were not sure what Belarus is. Do you know now what being Belarusian is in practice? We are talking about identity. I think I have a better idea, but I’m not sure my assessment has changed very much. Belarus is a country between Asia and Europe. Whether Russia is Asian or Eurasian, I don’t know. Russians themselves are not quite sure, I think, what their identity is. But for Belarusians, the recent events in Crimea, and Eastern Ukraine, may have given them a renewed sense of being different from Russia. They have their own flag, history, language and culture. They are close to Russians, but they are also close to Ukrainians. They are Slavs with a Slavic language. But national identity is a very complicated question. Look at Britain which has multi-identities. People in Britain sometimes have English, sometimes British, sometimes Scottish and mixed identity. Belarusians might also have more than one identity. BD: Do you see many Western companies coming to Belarus? Not many British companies, although there is a lot of interest in the IT sector. We have around 125 million pounds worth of exports to Belarus in 2012 and 2013. There are lots of German companies selling to Belarus. But that probably reflects how Belarus is still largely a country based on industrial production. The economic model is dominated by the state enterprises. And that is a bit of a problem, because the state controls so much. Our businesses are mostly private, and they go where they think they can market their goods and services. What Belarus desperately needs is actually some more space in economy, so new companies can grow. BD: Why do think is the main stereotype that may deter some western companies? I think some companies are deterred because this is a small domestic market. If you are just selling into Belarus, it probably doesn’t make much sense. A lot of British companies are represented through Moscow, or Kyiv, or even Warsaw and Vilnius. But actually when they get to Belarus they say: things work, there is order. Compared to other countries in the neighbourhood, there is relatively little petty corruption. On the other hand, there is a heavy bureaucratic burden. Rules are complicated, and the public authorities sometimes interfere unnecessarily. Private companies should be allowed to get on with their business as long as they comply with the law. There are successful and dynamic businesses in some sectors, particularly in the IT sector. World of Tanks is doing very well, and EPAM which writes software for Western companies and so on. A number of good private companies in Belarus export not just to Russia, but also to the West. They are doing well, because they sell good quality products. Belarus needs more of those sorts of company. The Customs Union and Eurasian Economic Union may be a major factor in the next few years, if it leads to a more open trading system between Belarus, Russia and Kazakhstan. It opens up the possibilities for the companies located in Belarus to be able to sell into Russian market, beyond, Kazakhstan and so on. But that depends on Russia opening its market. The most recent indications suggest that Russia is turning away from an open market. BD: Do you think it is important for Western businesses to come to Belarus? It depends what you mean by coming to Belarus. If you are talking about trade, this is not the most attractive market, because there are still regulations for foreign business, as well as high tariffs. As for place for investment to supply to the Russian and Customs Union market, yes, it is interesting. Costs are lower than in Russia. The labour force is well qualified. But the issue is that while the Customs Union and the Eurasian Economic Union is great in theory, until we have a better idea of how the Eurasian Economic Union works in practice, and it has established a track record of free movement of goods, services, people and capital, then I think there are still some question marks about the advantages of the Union. BD: And what would you say to the argument that those who are investing in Belarus are helping the regime? I hear that, but the regime’s philosophy and its social contract, is based on the state control of the economy. There are some advantages in that social contract. People have free education, health care and so on. But that model does not look sustainable in a long-term. It survives on cheap Russian energy supplies, and continuing Russian loans. The model needs fundamental reform. There are a very few incentives to take risk in Belarus. There is a lot of bureaucracy, and even some Russians I meet say that it is a very rigid system. There is much more space for private sector in Russia than there is in Belarus. If Belarus is to develop longer term, and become more independent of Russia, then it needs to develop a more dynamic economy and allow more private companies that can compete in international markets. BD: You mentioned in the past that that education was one of the most important areas of your work. Why? Yes, it is important. I am lucky because I am an ambassador of Shakespeare. I am welcome at universities around the country to stand in front of lots of students and speak English. I am happy to go, as it is a chance to talk to people here. Overall, I spoke to over 2000 people in 2013, mostly in English, but occasionally in Russian. 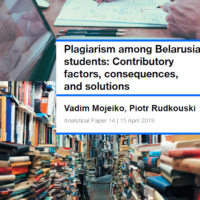 Education is important because Belarus depends on the skilled labour force for its future prosperity. I think the area where Belarus needs more education is in specialist business skills. To give a couple of examples. There is a local organization representing London School of Public Relations. Public relations is not necessarily needed for all businesses, but in terms of thinking strategically, thinking about what your company is producing, in building brands and consumer loyalty, it is an important specialism. Marketing – there are several organisations providing marketing courses in Belarus. We support the Open University, which does business education in Russian through distance learning. I spoke to some people studying there and they are very knowledgeable about techniques and skills, importance of marketing, and if there is a demand for goods. So marketing, public relations, and other skills are available, but they are not taught and valued widely enough in Belarus. There is a great need to understand how markets work and how to compete in international markets. BD: Is there anything you can do to improve the situation with British visas for Belarusians? People submit their applications and remain without passports for many weeks and even months, which is very frustrating. The standard service is 15 working days from the date of giving biometrics, and handing over passport and papers. We have moved from an in-house service via a visa section – where the whole process was conducted in the embassy in Minsk – to an outsourced application process. This is where the applications are made at a “visa application centre” in Minsk, but the papers and passports are then sent by courier to Moscow, where the decisions are taken, before they are returned to applicants in Belarus. There were delays in June when we closed our visa section and opened the visa application centre. But our Home Office colleagues have addressed the problems with the contractors, and the service is again within the standard service levels, so that everyone who applies for an ordinary visit visa gets their passports back within 15 working days. There will be further improvements as we move from the temporary visa application centre – which is based in the President Hotel – to a permanent centre. There will be a tracking system available, so people can check where their application is online and so on. We hope to have the permanent centre open before the end of the year.